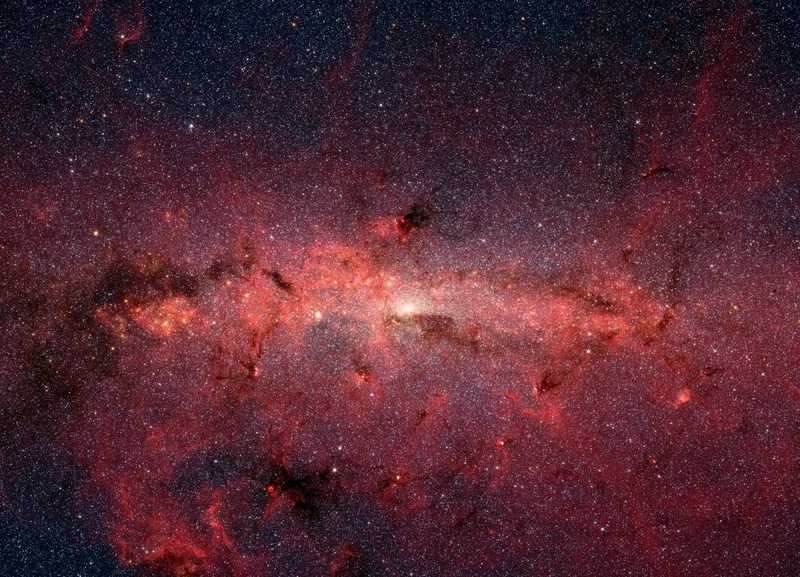 Home > Astronomy > Scientists believe that the Milky Way in the past experienced a "clinical death"
Scientists believe that the Milky Way in the past experienced a "clinical death"
Our Milky Way Galaxy experienced a "clinical death" in the past, when the process of formation of new stars ceased. It lasted about two billion and ended about five years ago, the scientific team of astronomer Masafumi Noguchi from the Japanese University of Tohoku states. This assumption confirms the chemical composition of the now existing stars. The findings of Japanese astronomers reported by the site Phys.org. The stars of the Milky Way were formed within two separate epochs using various star formation mechanisms. Between these periods there was a great pause when the formation of stars in the galaxy completely ceased. This suggests that the history of our galaxy is much more interesting than it may seem at first glance, scientists say. Researchers believe that during its formation, that is, within the framework of the first era, the Milky Way attracted surrounding cold gas, which became the main one for the formation of the first-generation stars. Supernovae type II, arising from the collapse of the nuclei of massive stars, released into the interstellar medium such chemical elements as oxygen, calcium, silicon and magnesium. About seven billion years ago shock waves created by supernovae heated up the gas already present in the galaxy, and the cold matter ceased to accumulate in it, which stopped the processes of star formation. So came the "clinical death" of our galaxy. During this period, which lasted for scientists of about two billion years, there appeared supernovae of type Ia, arising from the explosion of stars of class white dwarfs, which are usually found in the composition of double variable stars. These catastrophic phenomena led to the enrichment of the gaseous medium with iron. Approximately 5 billion years ago, a gas heated by supernovae, radiating radiation, began to cool, beginning the process of gradual renewal of cold matter flows, which led to the appearance of second-generation stars saturated with iron. In the same period, our Sun appeared. According to the astronomer of the University of Washington, Benjamin Williams and his colleagues, the Andromeda galaxy also formed its stars within two different epochs. With the conclusions of the American colleague of consonants, Japanese scientists. According to the model of the galactic formation developed by the team of Masafumi Noguchi, massive galaxies, such as the Milky Way and Andromeda, experienced a break in the past in star formation. At the same time, in more compact galaxies, this process was smooth and continuous.